Is Breast Milk Still Valuable after a Child’s First Birthday? Breastfeeding toddlers may still get sick but usually with less frequency and severity. Breast milk also protects against allergies – it can delay the child’s exposure to certain food allergens, lessen the severity of the reaction to allergens, and decrease incidence of asthma. How Does Extended Breastfeeding Benefit the Mother? Losing weight is usually faster and more significant with breastfeeding women, and some women experience a suppression of ovulation. However, others do see the return of menses and therefore fertility. Each child is different. Some toddlers will breastfeed first thing in the morning and before bed. Others will continue to nurse throughout the day. Some will nurse as often as a newborn. The frequency and length of nursing sessions typically decrease as children get older, especially once they reach 15 months old. Keep in mind that toddlers will nurse to reconnect emotionally within the safety of their mother’s breasts. This is how they re-charge. They may play intensely and then run over for a few sips and just as quickly return to their toys. Toddlers, like babies, may want to nurse more frequently when in a different environment or when the house is full of “other” people. Once everything settles back to normal, these increased nursings will likely disappear. What about Encouraging My Child to be Independent? Even though some experts will argue that extended breastfeeding will create clingy, dependent children, breastfeeding medicine specialist Dr. Jack Newman argues that the opposite is true: Children gain independence gradually as they are given free reins, not because they are pushed before they are ready. Children mature emotionally through the comfort and security of breastfeeding. He calls this a “renewal of love.” It is a beautiful way of communicating unconditional love to your child. This message will last a lifetime and spill over into every relationship your child will have. Treating others with love and respect are hallmarks of an independent and emotionally mature adult. What Breastfeeding Positions Do Toddlers Like? Tell your child what she may and may not do while breastfeeding. Read to your child while she nurses. Wear a nursing necklace that she can finger and play with. Interrupt the feeding until your child is willing to stop clowning around. Expect that this behavior will go away once the newly discovered acrobatic ability wears off. What about Nursing a Toddler in Public? This may be your greatest fear, as you worry about what others will think or even say. If your child is 18 months or older, nursing her before you leave may carry her over. If she wants to nurse before you return home, offer her a snack or a drink of water. If you do nurse in public, hats off to you! By this time, you will be very quick with keeping your breast covered when your child lets go and most will not have a clue as to what is transpiring between the two of you. And, if you do get a snide remark? One mother told me that when someone told her she should cover up (and she was nursing very discreetly), she kindly asked him to cover his head so he couldn’t see! Will Nursing Beyond a Year Make Weaning More Difficult? I hear people all the time exclaim that if you don’t wean before your child gets too old, meaning six or 12 months, that your child will never want to stop breastfeeding. This is just a myth and not based on any truth. Remember that children naturally breastfeed until at least two and one-half to three years. Some children need to breastfeed until they are four years old. Breastfeeding until your child weans himself allows the child to reach this milestone when developmentally and nutritionally ready. You may decide to lead the weaning instead of letting your child. This is certainly fine. You can always do this at anytime you desire. 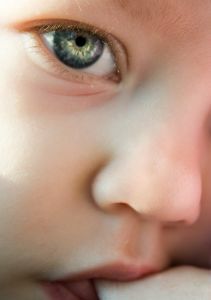 It will not be harder except that your child may be old enough to show or tell you that he is not ready, unlike the six month old or even the 12 month old. The closer your child is to self weaning, the easier it will be. When children are self weaning, they gradually decrease the number of feedings over months, not weeks. They will sometimes not nurse for a day or more and then nurse several times in one day. They may be happy to spend the night with Grandma and then rush to breastfeed as soon as they see Mama. How do you make your decision about how long you will breastfeed? As with most things in life, you have the freedom to make your own decision based on what you feel is best for you and your family. My suggestion is to not be in a hurry. Children grow quickly and outgrow breastfeeding in just a few years – only a fraction of the span of childhood. The incredible benefits of extending breastfeeding for you and your child far outweigh the pettiness of others’ opinions. Be strong, take courage, and breastfeed for years, not months. Available now! The Attached Family magazine “Voices of Breastfeeding” 2014 double issue. This fantastic resources is free to API members–and membership is free. Get your copy today! This is a great article and I forwarded it to my mother who is constantly nagging me to wean my 17 month old daughter. I just change the subject and will continue to breastfeed her as long as she wants it. It is a beautiful bond between us and just when things start to get a little crazy around the house we can both go away in private and enjoy a little down time. She loves to watch her Dora or Sesame street while nursing and I get to sit down and close my eyes. She is a healthy and confident little girl and is in no way overly attached. Keep the articles coming on this subject! I decided to night wean my daughter when she was around 14 months or so. At that time she was mainly waking up between 4:30 am and 5am to feed. What was so great is that she had an understanding of language enough so that I could tell her, “night time is for sleeping and daytime is for eating/nursing.” And she totally understood me. For the first few days she protested and woke up right on time. I gently rubbed her back and explained again that I would nurse her in the morning and that I loved her. I didn’t pick her up out of her crib, because that only strengthened her desire to nurse. I was very aware as a nursing night time mom that it was taking critical sleeping time that my body needed to recharge. Chinese medicine specifically talks about how each hour works on clearing an organ during the night. I am still nursing my daughter during the daytime on demand and just to agree with the poster, she can go almost 48 hours without nursing and is just fine. Grandma keeps her busy! Pingback: Mira’nın Bahçesi » Doğal Ebeveynlik tembel annelerin tercihi mi? Thank you for this article… My first born, my son, was not that interested in nursing.. I think I was more attached than he was. Age 2 was my cut off goal… On his second birthday I told him he was all done and he was fine with it. My second born however, my daughter, seems to be absolutely attached to nursing. We are approaching her 2nd bday, and while I am ready to be done, I really feel that she is not. (Mind you, I do enjoy connecting with her through nursing.) This article has given me the strength to push past her 2nd bday if need be… for her. =). Thank you so much for this article! I am still nursing my 28 month old and it can be exhausting at times to keep up with the night feedings and acrobatics. This has reminded me of why we’re still going. Great article. I feel so good to know the numerous benefits to my children and myself by breastfeeding. I breastfed both my children, the first for 2 years and the second for 3 and it was the right choice for me. I did receive a lot of ridicule from family because they believed breastfeeding should stop by the end of the first year. Not only does breastfeeding have all the benefits described in the article, it also promotes a strong attachment that I would not trade for the world. I am new to this site and just came across this post. It’s just what I needed to read now. My daughter will turn three next month, and she still nurses several times a day and overnight. I have committed to child-led weaning, but I find myself wondering whether I should be taking the lead to wean her because (1) my fertility has not yet returned, (2) I am an older mom (39 now), and (3) I had hoped to have another child after my daughter was born. I do not want to push weaning, and I want to let her transition from nursing in her own time. But, I am anxious about my fertility and think I have to dramatically reduce, if not stop, nursing in order for my body to get back to normal, assuming it even will. If anyone has encouragement in this situation, it would be great to hear it! We encourage you to post your question on the API Forum, where you can find assistance from an experienced API Leader and hear from other parents in your situation. 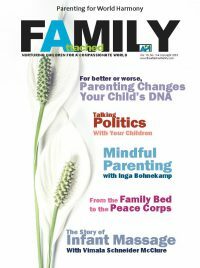 Here is the link: http://www.attachmentparenting.org/forums/home. You will need to obtain a login and password if you don’t already have one (top right corner of the screen). From there, you can post your question on the Feeding with Love and Respect forum. I was seriously pondering this as I nursed my 2 1/2 year old tonight! I get so tired of the snide “you’re still breast feeding?” comments. I would love to have nationwide billboards on how the US is NOT the standard for breast feeding! 2 1/2 and my son until 4! I love that Dr. Newman calls it “a renewal of love”-how beautiful is that. My daughter is 3 yrs and 4 months. We continue to breastfeed because I feel strongly about it but it has not been easy nor have I received the support I wish I could have, which is sad. She loves her “milkies” and I am thankful for articles like this to remind me that what I am doing is a good thing. Thank you. I am a firm believer of child self weaning. My son is about to turn 2. He nurses an average of 9-12 times within 24 hours. He is starting to wean himself, though not at night. It is such a beautiful experience between us. I am so grateful to read others who feel as I do and to read that it really is in his best interest as well as my own to continue to do so. Now if I could only find a medical professional to explain this to the judge in my upcoming placement hearing. I need the judge to understand the importance of my breastfeeding as well as that my son has night terrors and his secure attachment is and has always been with me – and should not be taken away from me for overnights. Any advice from anyone would be greatly appreciated. I have emailed a list of resources to you directly. Great, great article! I knew all of these deep inside me, but this has certainly reinforced my opinion and reason why my son is still breastfeeding (when he wants or when I want some other times) at 17 months. I remember reading an article in La Leche League monthly when I was going through a challenging time, maybe she was teething, anyway she was extra clingy. The article said to do my best to be patient because in the long run she would be more secure and more independent as a result of nursing. That has proved to be astoundingly true. She is a wonderful person, secure, very able and nice, too. When she was in her fourth year she weaned simply because we forgot for a month. The other thing that worked wonderfully was I got a lambie, a very soft one, on which she nursed and slept and used for comfort. They are washable and dryable.